Antique car insurance is something that the average driver will ever need for. In fact, it is doubtful that most car owners have even heard of antique car insurance. Unless you own an antique automobile or have thought about purchasing one, you have probably never considered the unique circumstances such a vehicle presents. Fortunately, auto insurance companies have been protecting antique owners for years and appreciate their special needs. So, if you are looking to insure an antique automobile, all you have to do is find the best company. Specialized insurers are a great place to start. There are a number of large, reputable insurers out there that specialize in antique, classic and vintage autos. They’ve been in the business a long time and understand the special requirements of antique car owners. They know, for example, that real antique vehicles should always be insured at a negotiated “agreed value” rate as opposed to the “actual cash” or “stated” value. Now owned and operated by Philadelphia Insurance Companies, Grundy Worldwide has been in the business of insuring classic and antique vehicles since the mid-1940’s. Founded by James Grundy Sr., Grundy claims to be the first company to write an antique auto policy as well as to be the originators of the agreed value endorsement. Grundy is the preferred insurance company of the Classic Car Club of America. Based in Traverse City, Michigan, Hagerty Insurance was established around forty years ago as a general insurer. Aware of the growing need for specialized coverage, Hagerty began writing agreed value policies on classic wooden boats in 1983 and classic cars in 1991. Since that time, Hagerty has become a leader in classic and antique vehicle protection. Hagerty also offers membership in the Hagerty Collector Network, an organization with over 225,000 members. Another insurer of note is Heacock Classic Car Collector Insurance. Heacock Classic is owned by the Heacock Insurance Group, a full-service insurance agency founded in 1922 and based in Sebring, Florida. The Heacock family has been intimately involved in Sebring’s racing community since the 1950’s and in the creation of both the Sportscar Vintage Racing Association and Vintage Motorsport magazine. Heacock Classic is now recognized nationally in the car collector insurance business. 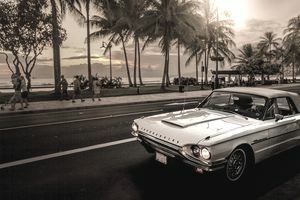 In addition to insurers who specialize in antique vehicle insurance, there are a number of major companies that write classic and antique car policies along with their more conventional offerings. The Hartford, Farmers, Allstate, and Geico are just a few of the majors out there that will insure your antique vehicle. If you already have insurance on your regular cars with a major company, check with them to see if they offer policies for antiques and classics. You may be able to save by insuring all of your vehicles under one roof. Just make sure that your agent fully understands the unique needs of insuring antique automobiles and that you are covered for your car’s agreed value. The bottom line is this: The best antique car insurance company is the one with a policy that works best for you. Determine how you intend to use your antique vehicle and then contact several companies. The more you have to choose from, the better. If you are really into antique, classic and vintage automobiles, then you probably belong to a local club or organization. Ask other owners who they insure with and how the experience has been. There’s no better recommendation than the one that comes from word-of-mouth. Just remember that if you put in the time and effort at the beginning of your search, you will more likely save money on your premiums and less likely be disappointed if you ever need to make a claim. As long as you do your homework and deal with a reputable company, you’ll be fine.